The Warmind DLC expansion introduced a bunch of new items to Destiny 2 back in May 2018, one of these being the Rasputin Armory Codes on the surface of Mars. In this Destiny 2 Rasputin Armory Codes guide, we'll be walking you through how to get Rasputin Armory Codes in Destiny 2, through undertaking Public Events or paying a visit to Ana Bray. If you instead need anything else relating to the Warmind expansion for Destiny 2, including how to access all the brand new content straight away, as well as the upfront cost that you’ll need to pay for access to either the expansion or the Expansion Pass, make sure to head over to our complete Destiny 2 Warmind guides hub. While you’re exploring Mars in the new Warmind expansion for Destiny 2, whether it’s performing main story quests for Ana Bray or undertaking Public Events, you’re going to come across a Rasputin Armory Code item every now and then. 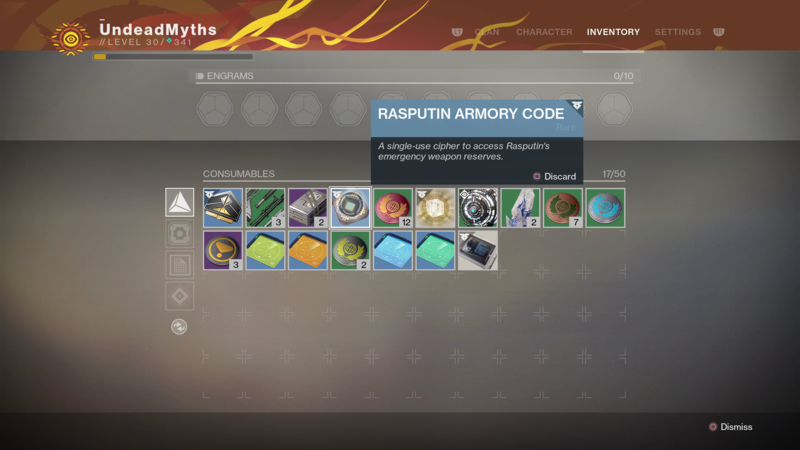 We’ve noted that Rasputin Armory Codes are far more likely to be obtained if you’re in the middle of a quest or activity, rather than just simply exploring Mars. Keep an eye out for Public Events or Adventures on your map, as undertaking the Warsat Down Public Event in particular should nearly always reward you with a code item, especially if you can manage to trigger the Heroic Public Event version. Once you've successfully got your hands on one of the Rasputin Armory Codes in Destiny 2, you can use it while playing Escalation Protocol for a powerful weapon. When you see a hatch on the ground emitting a red/orange light while playing Escalation Protocol, you can go over to it and hold X/Square, in order to obtain a powerful Valkyrie weapon. Note that the Valkyrie weapon has a very limited number of uses (usually less than 20), but it can be extremely useful for when you're looking to get rid of an Escalation Protocol boss quickly. 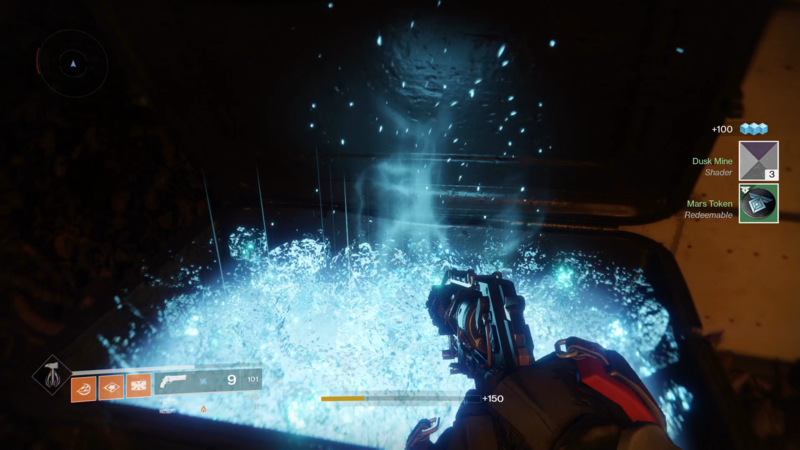 We might be all done with this complete Destiny 2 guide on how to obtain and put Rasputin Armory Codes to use in the new Warmind DLC, but we’ve got plenty more guides on the expansion here at USgamer. Head over to our full Warmind Exotics guide for a complete list of all the best new items available, or our Sleeper Simulant guide for information on how to obtain the new Exotic weapon.